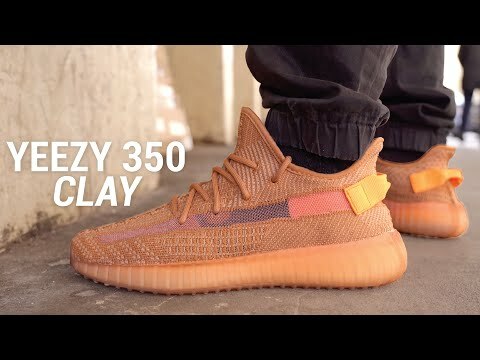 Another year, another new adidas Yeezy lineup, which will include this upcoming “Clay” colorway of the Yeezy Boost 350 V2. This adidas Yeezy Boost 350 V2 comes in earthy tones having a Tan/Pinish Primeknit upper highlighted with a translucent midfoot stripe similar to the “Static” 350s from December. The “Clay” color hue covers the heel tab and midsole adding for a nice pop. Look for the adidas Yeezy Boost 350 V2 “Clay” to release this Spring 2019 at select adidas Originals retailers and adidas.com. The retail price tag is set at $220 USD. UPDATE: Check out these on-feet photos via @solebyjc of the upcoming “Clay” adidas Yeezy Boost 350 V2 that drops this Spring 2019.